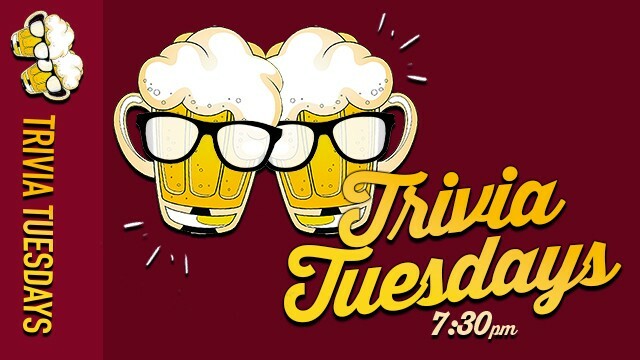 Put your trivia to the test every Tuesday! Starts at 7:30pm. Prizes to be won!